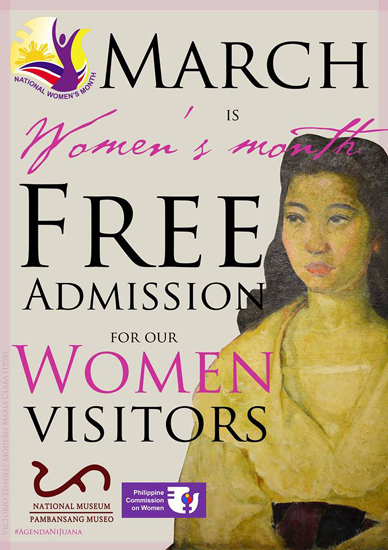 (SPOT.ph) To celebrate National Women’s Month, the Philippine Commission on Women has teamed up with the National Museum by offering free admission to all women for the whole month of March. 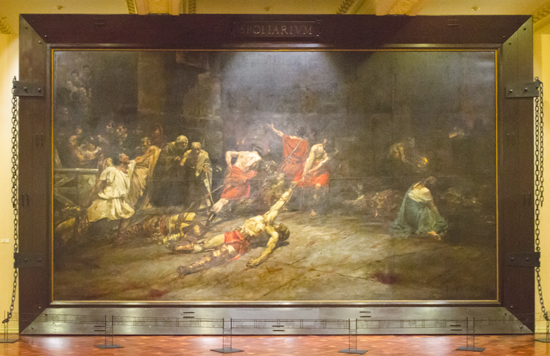 Besides the National Museum in Manila, women can get in for free at the museum's other branches throughout the Philippines. The Philippine Commission on Women (PCW) will also be holding an event at the Quirino Grandstand on March 16, which focuses on promoting women empowerment and achievements in bridging the gender gap. 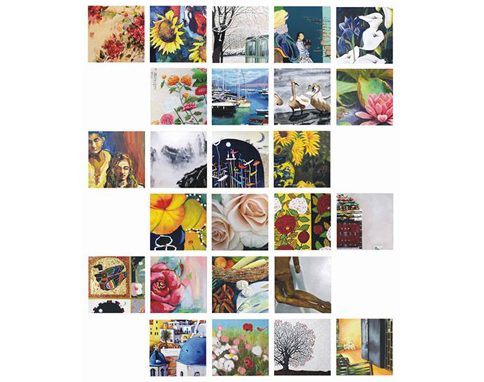 There’s also a month-long online advocacy with inspirational tidbits from accomplished Filipinas in various industries. 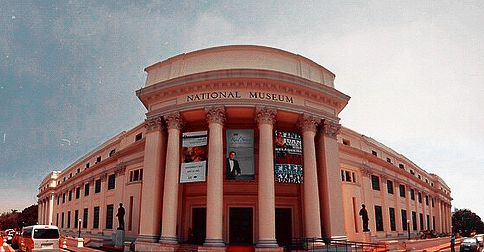 The National Museum is at P. Burgos Drive, Rizal Park, Manila. For more information, visit the Philippine Commission on Women’s Facebook page and website.